Boztepe, 100. yıl parkı, and Soğuksu are places for having picnic within the city. In addition to these, Çamburnu and Uzungöl, 48 and 100 km. 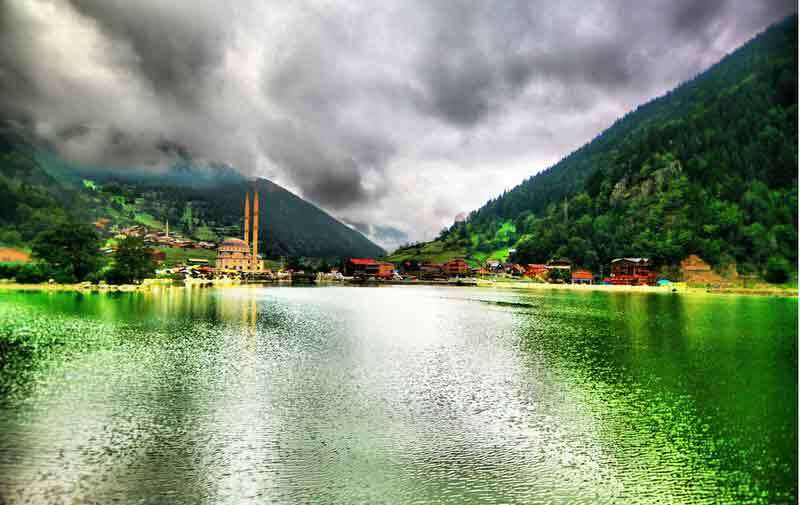 from Trabzon towards east, respectively, and Altındere Vadisi National Park, 50 km from Trabzon towards south, are the places where one can enjoy spending free time and also taste local cuisine together with fish. City walls, which were built as three separate sections, namely the Yukarı hisar (upper fortress), Orta hisar (middle fortress) and Aşağı hisar (lower fortress), go back as far as the 5th century BC with early Roman traces. The Ortahisar was the centre of administration during the Ottoman time, and the. Aşağıhisar (lower fortress) the city's trade centre. Besides the walls, Sumela-, Vazelon- and Kuştul monasteries are samples of religious monuments built on terraces of and carved into the steep hills. 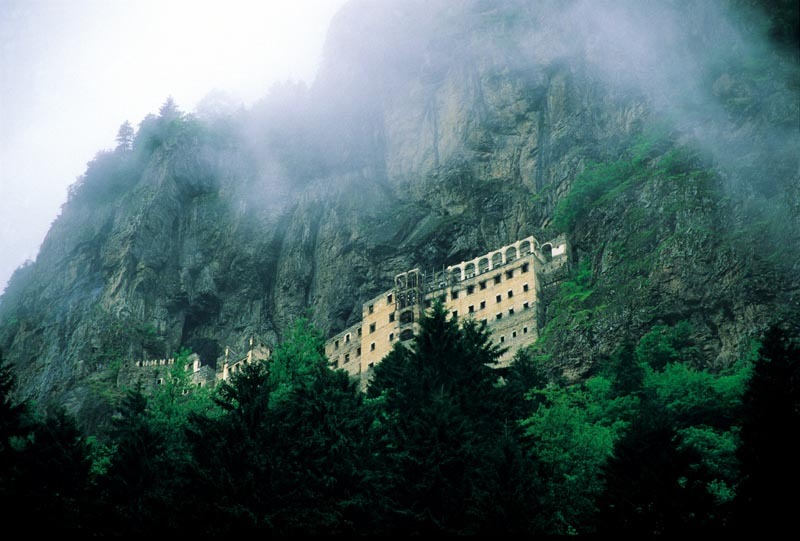 The Sumela Monastery is the only one of its kind, has a world-wide fame, and is visited by thousands of tourists every year. 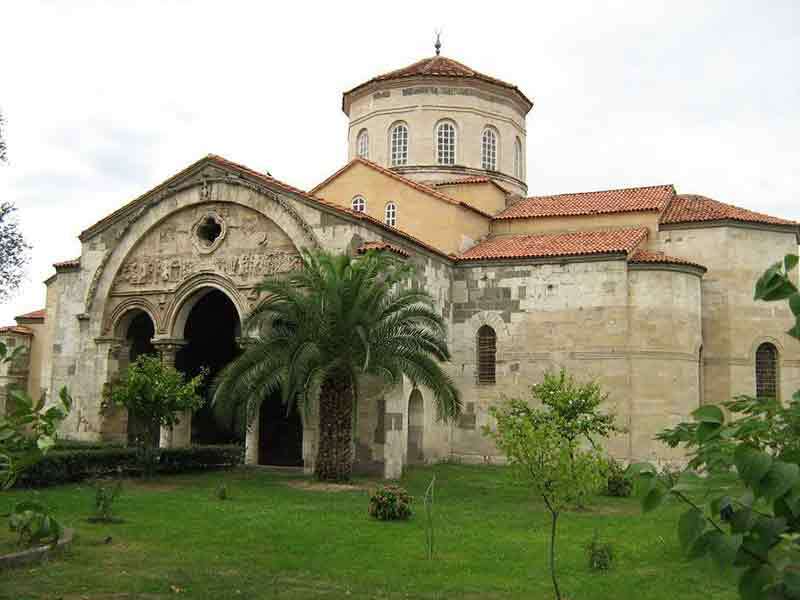 Haghia Sophia museum, Saint Anna Church (Küçük Ayvasıl), Yeni Cuma Mosque, and Orta Hisar Mosque are historical places dating pre-Ottoman period.The Ottoman period is characterized by mosques, mansions, baths, bazaars and tombs. 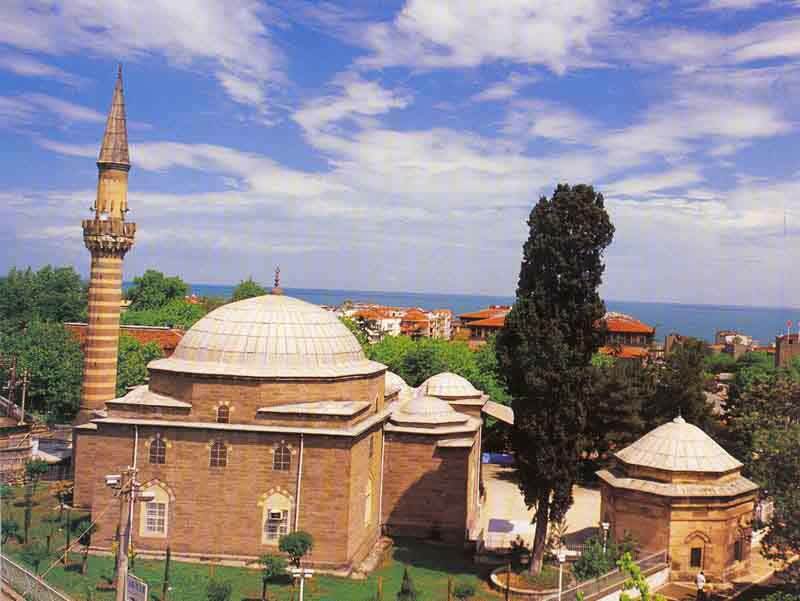 Gülbaharhatun Mosque, İskender Pasha Mosque, Çarşı Mosque, and the arsenal (Cephanelik) or Fatih tower are some of the important historical buildings worth seeing. Atatürk’s Pavilion, the Mansion of Kastelli, the building of Trabzon Archaeological and Ethnographical Museum, houses in Orta Hisar (Trabzon), Sürmene and Ortamahalle in Akçaabat are the precious examples of architectural styles used in the Ottoman period. Covered Bazaar or Bedesten, Eight Columned-Bath, and various tombs are other places to see.